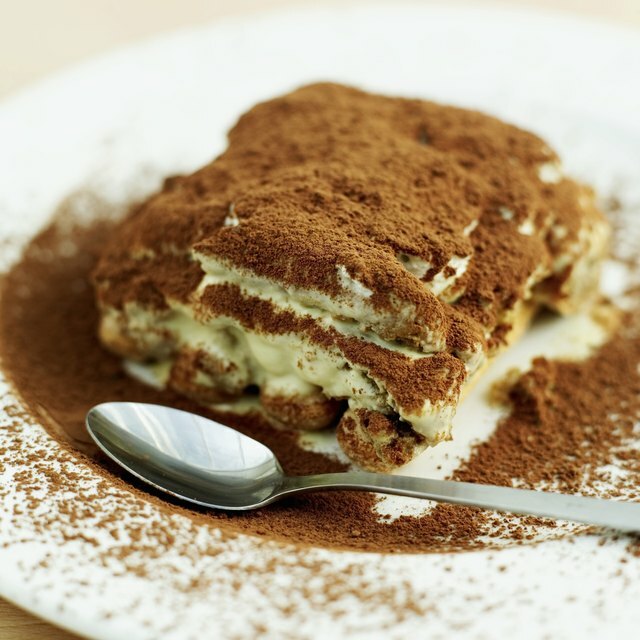 Finish an Italian meal with an easy-to-make traditional Italian dessert, such as biscotti, cannoli, gelato, zabaglione, or one of the country’s most famous delights — tiramisu. Cheese, wine and coffee are important in Italian cuisine, particularly as dessert ingredients. In Italian meals, the first dessert is called “formaggio e frutta,” or cheese and fruits. 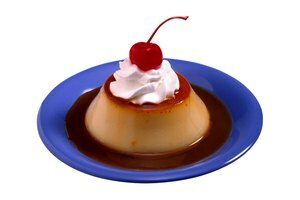 Sweet is literally translated as "dolce,” and means a main dessert of cakes, cookies and puddings. 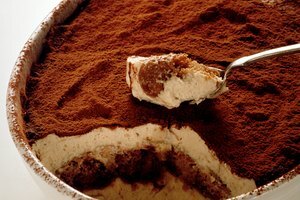 Tiramisu’s light layers of ladyfingers (or savoiardi), espresso, coffee-flavored liqueur, eggs, cocoa, and mascarpone have made it a popular and elegant dessert, but it is easier to make than you might think, and even easier to serve after an Italian meal. Easy recipes can be found online almost anywhere. The word tiramisu is translated as “pick me up”, which it can be safe assumed it's called this because of all the coffee on the ingredients list. In Italian cuisine, biscotti refers to any type of cookie. In North America, biscotti describes a twice-baked cookie for dunking in wine or coffee. Traditional biscotti contains almonds, but many ingredients are possible, including chocolate, dried fruit, spices, and frosting. The dessert is easy to make, has a long-shelf life, and is simple to serve. Sticky dough is shaped into a log and baked until firm. After cooling, the log is sliced diagonally and baked again producing a crisp, dry cookie. Biscotti is literally translated from “bis” meaning twice, and “cotto” meaning baked or cooked. 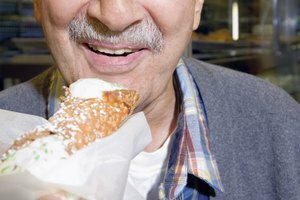 This traditional Sicilian treat, cannoli, is one of the most popular Italian desserts consumed in the United States. It is easy to make and even easier to serve, especially if you buy premade cannoli shells. Simply fill the shells with a creamy ricotta or other cheese-based filling, recipes of which are easy to find. The dessert can be made ahead, too, making it easy to serve after an Italian meal. Not easy to make but easy to serve, frozen treats such as gelato and granita can be purchased at specialty grocery stores, regular grocery stores and even Costco. Gelato is Italy’s answer to ice cream, but has a lower fat and calorie content. Typical flavors are lemon, stracciatella (chocolate chip), and pistachio. Gelato is translated as “frozen.” Pair it with biscotti for an easy-to-serve dessert. Granita is an icy mixture of water, sugar and flavor, and most granitas are made by simmering sugar and water in a saucepan to make syrup, adding a flavor such as fruit juice, pureed fruit, or other liquid, and freezing the mixture in a large shallow pan. When ice crystals form, stir the mixture with a fork, and repeat every 30 minutes. Spoon into a dessert dish or goblet, and garnish with cookies, lemon peel, mint, or berries. 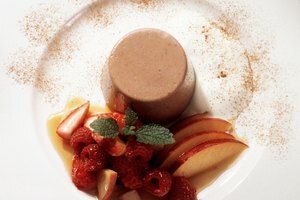 Similar to French sabayon, zabaglione is an airy custard made from egg yolks, sugar and wine, usually Marsala. 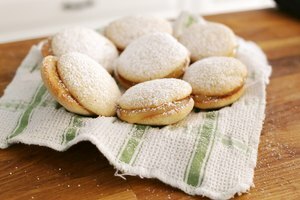 The mixture is whisked over gentle heat until thick and served either alone or over fruit, a light cake, biscotti, or ladyfingers. It can be served warm or cold.